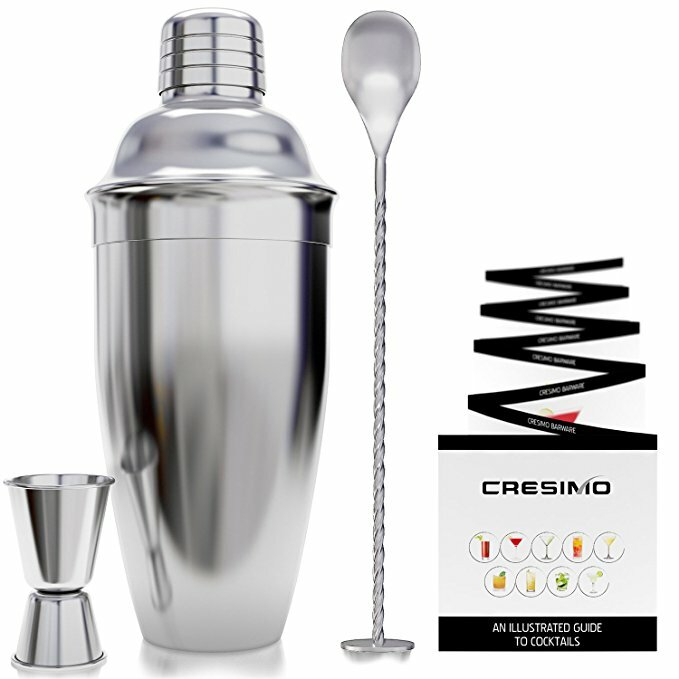 If you have ever wanted to try your hand at bartending, its the time to start with this Cresimo 24 Ounce Cocktail Shaker Bar Set on sale for $10.31. At 31 percent off, this set is the perfect start to learning about mixing drinks and impressing your friends and family. It comes with a professional shaker with a 24 oz capacity, a built-in strainer, a premium double size 1.0/0.5 oz measurement jigger tool, and a a beautiful twisted bar spoon. It also includes an illustrated guide to different cocktail recipes, so that you can get started right away. This popular cocktail shaker not only looks great but it is also made from high quality stainless steel with a mirror finish, so it is guaranteed not to rust or leak. 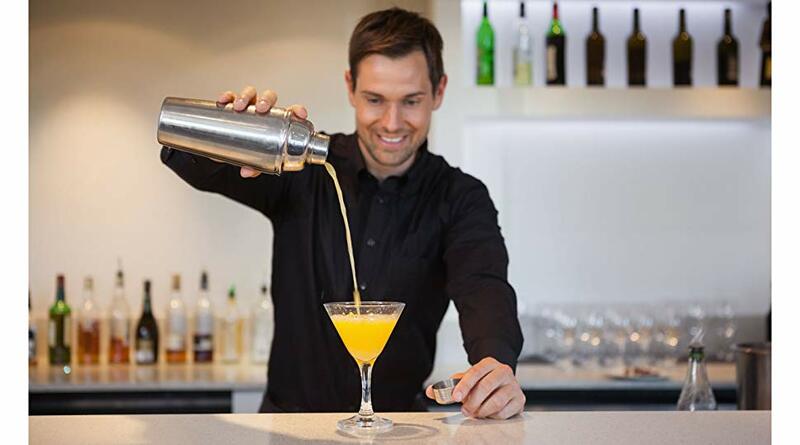 Due to how simple and easy it is to use it, it is recommended for both beginners and experienced bartenders. To top it all off, Cresimo offers a free two year warranty. Get this shaker set in the next 2 hours – before this deal expires – and become the life of the party.